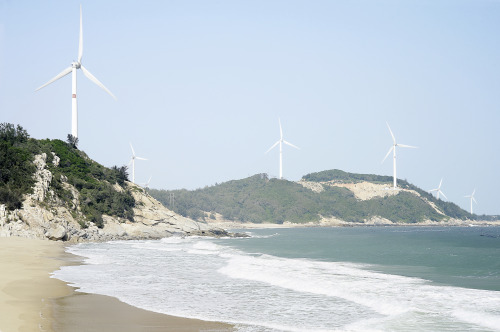 Microgrids are mainly for remote areas and islands and often integrate renewable energy. Hybrid solar photovoltaic/diesel power stations commissioned in 2010 for Australian power utility Horizon Power at Nullagine and Marble Bar, in Western Australia. The island of Faial in the Azores has an electricity network that integrates oil-fired generators and wind energy and operates as a self-contained microgrid. Can microgrids provide smooth renewable power integration and backup? Microgrids offer a highly flexible, modular and scalable solution, which will facilitate the adoption of renewable sources at the point of power demand suggest Celine Mahieux and Alexandre Oudalov from ABB. For many years local power generation – typically based on diesel generators – has been the standard way to deliver power to islands, remote communities or industrial sites. However, recent years have seen growing awareness and interest in factors such as grid resilience, environmental impact and fossil fuel price volatility. This has led energy service providers and end-customers to take a closer look at microgrids. By combining a range of generation sources with energy storage and intelligent load management, microgrids provide reliable, economic and environmentally power supply. They can also be used as black start power or to bolster the grid during periods of heavy demand. In recent years, the technical and economic feasibility of microgrids has been improved further by significant cost reductions in renewable distributed generation, especially in solar photovoltaic (PV) and wind systems, along with the development of lower-cost, efficient energy storage technologies, and the availability of affordable sensors and efficient communication infrastructure. Essentially, a modern microgrid is an integrated energy system consisting of distributed generation, storage and multiple electrical loads operating as a single, autonomous grid either completely separate from, or connected to, the existing utility power grid. The microgrid may be made up of many different generation and storage mixes and grid connectivity formats, and come in a vast range of sizes. Grid-connected microgrids have the ability to be seamlessly ‘islanded’ from the main grid when needed. During periods of peak power grid usage, or during a primary power grid failure, a microgrid can isolate its local generation and loads from a faulty grid and operate independently for prolonged periods. Microgrids interoperate with existing power systems and information systems, and are able to feed power back to the main grid to support its stable operation as well as help with restoration after a major blackout. In many ways, microgrids are scaled down versions of traditional power grids. A key distinguishing feature is the closer proximity between generation sources and user loads. Microgrids typically integrate renewable energy sources such as solar, wind power, biomass, small hydro, geothermal, waste-to-energy, and combined heat and power (CHP) systems. Microgrids are increasingly being equipped with energy storage systems, as lithium-ion batteries become more cost-competitive. The system is controlled through a microgrid control system that can incorporate demand–response so that demand can be matched to available supply in the safest and most optimised way. A flywheel- or battery-based grid stabilising system may be included to offer real and reactive power support. The microgrid control system performs dynamic control over energy sources, enabling autonomous and automatic self-healing operations. Modern microgrid solutions incorporate a number of key components. The first is the microgrid control system, which uses distributed agents to control generators or storage devices, network switches, and individual loads, to provide intelligent power management and efficient microgrid operation. The system calculates the most economical power configuration, ensuring a proper balance of supply and demand to maximises renewable energy integration. It also optimises the microgird’s generator operations so the entire system performs at peak potential, and ensures a compliant grid-connected microgrid solution. The second is a flywheel- or battery-based grid stabilization technology, which enables high penetration of renewable generation sources by providing synthetic inertia and grid-forming capabilities. This stabilises power systems against fluctuations in frequency and voltage caused by variable renewable sources or microgrid loads. It stabilises the electricity network and reduces downtime by rapidly absorbing power surges or by injecting power to make up for short-term troughs, in order to maintain high-quality voltage and frequency. Energy storage plays an important role both in microgrid stabilisation and in renewable energy time-shifts to bridge a temporal misalignment between power generation and demand. One or a combination of energy storage systems may needed to suit overall capacity needs and commercial considerations. For microgrid stabilisation the energy storage system must provide a very fast response while possibly being called several times per minute. This demands high power output but small stored energy. But for renewable-energy time-shifts, the system should be capable of storing energy for a few hours to bridge the peaks of energy production and consumption. Meeting both requirements economically typically requires a hybrid system with a combination of underlying storage technologies, each with different performance characteristics (cycle life and response duration). A hybrid energy storage system will combine the benefits of each storage medium and offer lower total cost compared with individual units. A protection system is needed to respond to utility-grid and microgrid faults. With a utility-grid fault, protection should immediately isolate the microgrid in order to protect the microgrid loads. For faults inside the microgrid, protection should isolate the smallest possible section of the microgrid. Thermal loads usually represent a considerable part of total energy used by end-consumers. There is significant potential for cost savings, particularly through the use of CHP systems, which allow consumers to realise greater efficiencies by capturing waste heat from power generators. Therefore, cost-effective microgrid energy management requires good coordination between thermal energy storage and other thermal sources, and between thermal and electrical systems. System modelling is important during all phases of microgrid development – from the conceptual design and feasibility study, through construction, to final acceptance testing. For example, when an existing diesel-based back-up power supply is extended with a large amount of fluctuating renewable energy resources, stable operation of the microgrid cannot be guaranteed. In order to optimally dimension a grid-stabilising device and to tune its control parameters, the dynamic behaviour of legacy diesel generators has to be known. The microgrid market is developing rapidly, with projects being implemented around the world in a variety of applications. Microgrids are shifting their focus from technology demonstration pilot projects to commercial projects driven by solid business cases. A recent Navigant Research report has identified over 400 microgrid projects in operation or under development globally. The same study forecasts that the global annual microgrid capacity will increase from its 2013 level of 685 MW to more than 4000 MW by 2020. North America will continue to lead the way in microgrids, while the Asia-Pacific region looks likely to emerge as a key growth area by 2020, due to the huge need to provide access to power to growing populations not served by a traditional grid infrastructure. Here are some examples of recent microgrid installations that highlight the benefits of the approach in a variety of settings. The world’s first high-penetration, hybrid solar photovoltaic (PV)/diesel power stations were commissioned in 2010 for Australian power utility Horizon Power at Nullagine and Marble Bar, in Western Australia. These projects include more than 2000 solar modules and a solar tracking system that follows the path of the sun throughout the day, as well as microgrid control system, flywheel-based grid stabilisation system and diesel generators. The grid stabilisation technology and power management solution ensure that the maximum solar energy goes into the network by reducing diesel generation to a minimum. When the sun is obscured, the system covers the loss of solar power generation by ramping up diesel generation – ensuring the network has an uninterrupted energy supply. The PV plants generate over 1000 MWh of renewable energy per year, which is enough to meet 60 per cent of the average daytime energy for both towns. The microgrid solution is saving more than 400,000 litres of diesel fuel annually and reducing CO2 emissions by 1,100 tonnes a year. 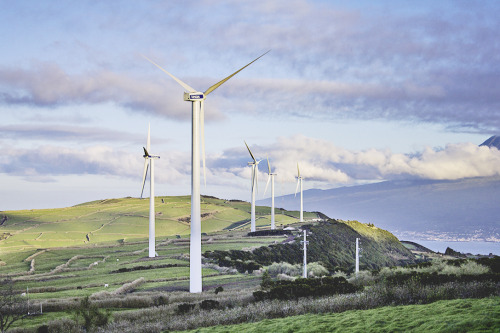 In 2013, the Azores’ local power utility, Electricidade dos Açores (EDA), implemented a microgrid control solution that enabled the island of Faial in the Atlantic Ocean to add more wind energy to its power mix without destabilising the network. EDA installed five wind turbines as part of the effort to boost capacity by more than 25 per cent and minimise environmental impact on the island, where tourism is an important industry. Faial is one of nine volcanic islands in the Azores, about 1500 km from the mainland. The island of 15,000 inhabitants now has an electricity network that operates as a self-contained microgrid, powered by six oil-fired generators producing up to 17 MW of electric power. The microgrid control system calculates the most economical configuration, ensures a balance between supply and demand, maximises the production of wind energy and optimises the generators so that the entire system performs at peak potential. The integration of wind energy combined with the innovative solution saves an estimated 3.5 million litres of fuel per year and has the potential to reduce annual carbon dioxide emissions by around 9400 tonnes. Victoria’s largest energy delivery service owning and operating company, SP AusNet has deployed a containerised microgrid solution encompassing battery, transformer and diesel generator for a Grid Energy Storage System (GESS) in Melbourne, Victoria, Australia. This offers active and reactive power support during periods of high demand, and provides smooth transition into islanded/off-grid operation on command or in emergencies. It has also enabled the deferment of investment in expanded power line capacity. AusNet’s GESS consists of a 1 MWh 1C lithium battery system operating in combination with a diesel generator, transformer and an SF6 gas circuit breaker-based ring main unit with associated power protection systems. Located at an end-of-line distribution feeder in the northern suburbs of Melbourne, the system was commissioned in December 2014, and is currently undergoing a two-year trial. The GESS is the first system of this type and size in Australia, and the trial will examine the benefits in terms of peak demand management, power quality improvement and network investment deferral that large-scale, grid-connected energy systems could provide. AusNet is also investigating the ability of the GESS to operate as an islanded system, and how this improves the reliability of supply and system stability in the case of larger network faults. In the event of a fault, the GESS creates an islanded microgrid which the GESS supplies until its energy reserves are depleted or the fault is cleared. When the fault is cleared, the GESS reconnects to the grid and transfers the supply back to network and begins recharging the batteries on a scheduled, preset programmed time of day when the feeder loading is at low level. In the face of rising energy demands and the growing favourability of renewable generation sources, microgrids offer a highly flexible, modular and scalable solution, which will facilitate the adoption of renewable sources at the point of power demand. Microgrids help consumers achieve three important goals: increase the reliability and quality of power supply in both grid-connected and isolated operation; reduce and enhance the predictability of energy costs; and reduce their carbon footprint and overall environmental impact. Celine Mahieux is Research Area Manager: Innovative Applications and Electrification ABB and Alexandre Oudalov is Senior Principal Scientist, ABB Corporate Research. Distributed energy, also district or decentralized energy is generated or stored by a variety of small, grid-connected devices referred to as distributed energy resources (DER) or distributed energy resource systems. Conventional power stations, such as coal-fired, gas and nuclear powered plants, as well as hydroelectric dams and large-scale solar power stations, are centralized and often require electricity to be transmitted over long distances. By contrast, DER systems are decentralized, modular and more flexible technologies, that are located close to the load they serve, albeit having capacities of only 10 megawatts (MW) or less. A microgrid is a localized grouping of electricity generation, energy storage, and loads that normally operates connected to a traditional centralized grid (macrogrid). This single point of common coupling with the macrogrid can be disconnected. The microgrid can then function autonomously. Generation and loads in a microgrid are usually interconnected at low voltage. From the point of view of the grid operator, a connected microgrid can be controlled as if it were one entity. Microgrid generation resources can include stationary batteries, fuel cells, solar, wind, or other energy sources. The multiple dispersed generation sources and ability to isolate the microgrid from a larger network would provide highly reliable electric power. Produced heat from generation sources such as micro turbines could be used for local process heating or space heating, allowing flexible trade off between the needs for heat and electric power. •	Generate power locally to reduce dependence on long distance transmission lines and cut transmission losses. When distribution and transmission lines in India are not able to supply electricity to remote rural villages, there is hope from the innovation known as "microgrid." Microgrid is a small power generation grid near to the consumers. It is mostly developed by private/independent organizations. In Jan 2012, over 300 million Indian citizens had no access to electricity. Over one-third (33 percent) of India's rural population lacked electricity, as did 6 percent of the urban population. Of those who did have access to electricity in India, the supply was intermittent and unreliable. Electricity supply to the rural villages is also not economically advantageous for government, because of minimal power consumption and high cost of distribution and transmission of the electricity supply. Apart from that, grid failure will add more trouble. The North India blackout is one of the greatest examples of Indian electricity grid failure. To all these problems micro-grid is a ray of hope in the Indian scenario.